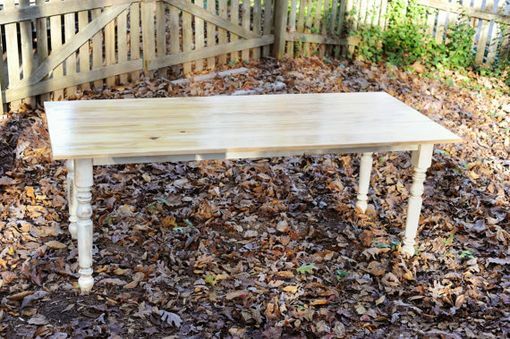 For sale is a handsome dining table composed of locally sourced cypress and accented with antique white, hand-turned legs. 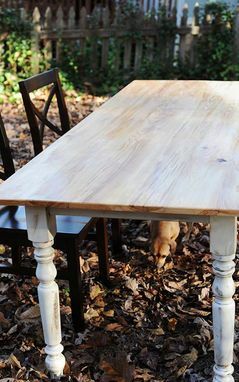 This table makes for a great heirloom piece as it is composed entirely of solid lumber and meticulously finished to ensure years of use and abuse. 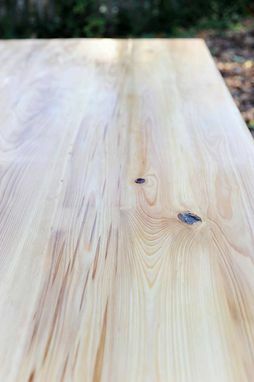 We carefully hand-select each piece of lumber to ensure maximum durability and stability. 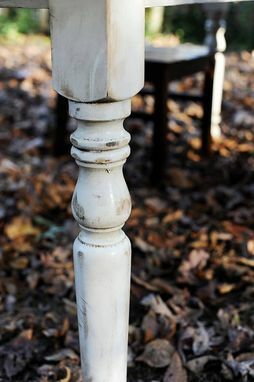 The legs and aprons are hand-finished with an antique white chalk paint before slathered with a brown glaze and coat of lacquer. 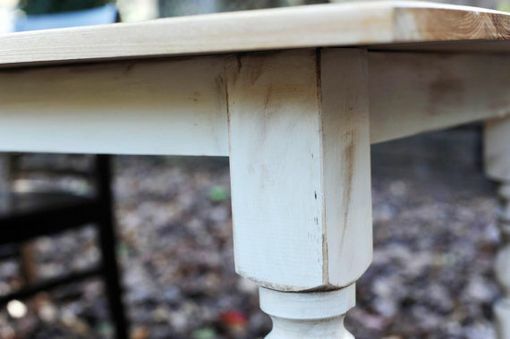 The top is finished with four coats of lacquer. The pictured table is sized at 36"wide x 80"long x 30"tall and comfortably seats eight and gives ample arm room for you to tear into your Thanksgiving feast. As previously stated, this item is not available for shipment. We offer free local delivery and setup within 50 miles of 30064.